Raising structures whether it’s your home or business! 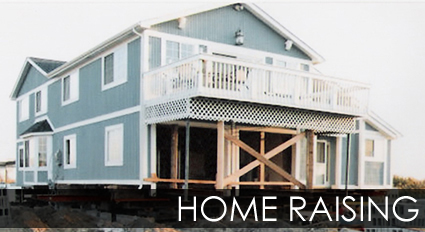 It may be necessary to raise your home or business from it’s existing elevation due to flood plains, structural damage, foundation settling, and construction changes. Shoring maintains the structure of a building at its existing elevation by replacing walls, foundation, beams, and other weight-bearing components. It may also be necessary to level your building by installing mid-span beams and replacing center support beams or ensuring that your existing foundation is level. 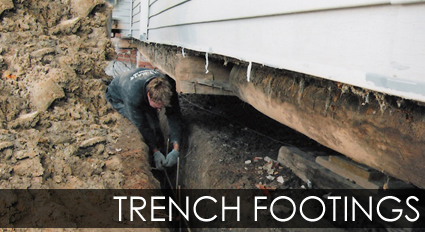 We repair or replace inadequate foundations to ensure the stability of your home, whether it’s a trench foundation, spread foundation, or, in the most severe cases, a grade beam foundation. 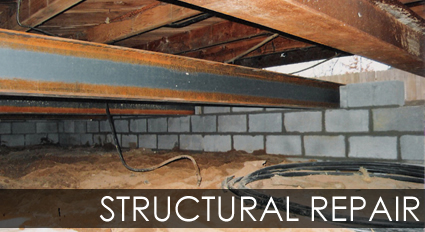 Bonds, plates, and floor joist can become damaged or rotted over time, causing structural issues to your building. We work with these problems and other major structural issues by providing all carpentry, concrete, and steel structural work. We also provide these services for barn repair. Wood center beams become less reliable with age. We replace these beams with steel structural support and also add mid-span beams to support outer stresses and the floor joist level. We offer new installation lines and 24 hour emergency services. It is necessary to install a proper base and set-up for all flat work. We use 4000 psi concrete with 6-gauge wire mats and 1/2″ rerod reinforcement to minimize any potential problems in the future. 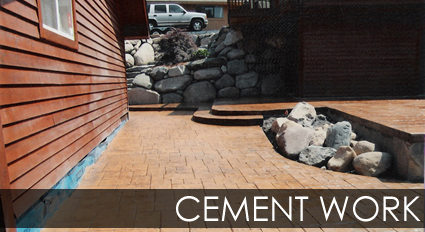 We also offer decorative concrete including stamping with various patterns and colors. Let us make your backyard or basement beautiful with custom steps and layouts. We employ a backhoe, skid steer, and tractor in addition to our dump trucks and flat beds to assist with culverts and driveway installations. We offer reasonable rates for the sand, gravel, top soil, and fill soil you may need for any project. We repair block work and foundation piers to properly support your home as well as install sump pumps and visquine to minimize the water in your crawl space. Reap the benefits of a new foundation and double your square footage by installing a basement, whether you renovate an existing crawl space or start from scratch. We offer complete structure and selective demolition, including outbuildings. We also haul away the resulting debris. 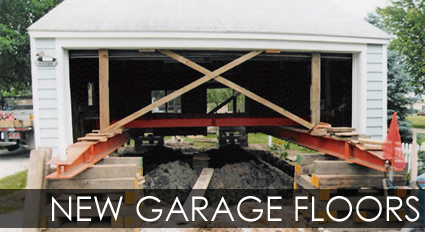 We can build complete custom designs and make minor changes to existing structures.